In 2007, the American Legacy Foundation, according to its website, honored Glamour and Vogue with a corporate partnership: Legacy listed Conde Nast Publications - the publisher of these magazines - as being its corporate partner. According to a Legacy report, the Foundation reaped a significant financial benefit from this corporate partnership: substantial advertising discounts in the company's magazines. Moreover, the American Legacy Foundation called Conde Nast Publications - its corporate partner - a "leader" in the tobacco control movement. In 2013, while most cigarette advertising in magazines has gone by the wayside, Conde Nast Publications is featuring, in several of its magazines with large youth readerships, a 3-page spread advertising Camel cigarettes. According to the Campaign for Tobacco-Free Kids, these ads are reaching a total youth audience of at least 12.9 million teenagers: more than 2.2 million youth readers through Glamour and nearly 1.2 million teens through Vogue. According to the Campaign for Tobacco-Free Kids: "The August 2013 issue of Glamour magazine features the world’s most popular boy band, One Direction, on the cover. Inside the magazine, and placed just before the story and photos on the band, there’s a huge, three-page spread of ads for R.J. Reynolds’ Camel cigarettes. The magazine’s cover no doubt is attracting many teens and tweens who make up the band’s fan base, exposing them to messages encouraging them to smoke. 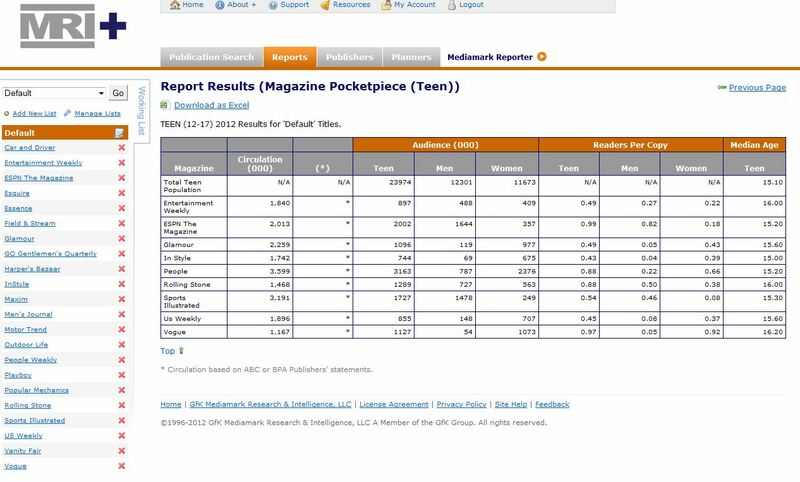 Glamour has more than 2.2 million teen readers, according to GfK MRI, a consumer research firm." So thanks largely to Conde Nast Publications, we have now turned the clock back more than a decade and recreated the problem of youth exposure to cigarette advertising in magazines - a problem that had almost disappeared. The unforgivable part of this story is that it was the American Legacy Foundation that honored Conde Nast Publications with a corporate partnership and called Conde Nast a "leader" in the tobacco control movement. Back in 2007, I wrote: "The rest of the story is that while the American Legacy Foundation's mouth is busy complaining about how Vogue and Cosmopolitan are carrying these malicious advertisements which are directly targeting girls [the Camel No. 9 ads], the Foundation has done something very different with its financial interests: maintained a corporate partnership with these very magazines. ... So the truth of the matter is that the American Legacy Foundation is, or at least was, a corporate partner of the very companies which are carrying these supposedly despicable Camel No. 9 advertisements to our nation's girls." Conde Nast (and do so in a very vocal manner), or at very least, to issue an ultimatum to these companies that they either halt the advertising of Camel No. 9 cigarettes or Legacy will end its partnership and stop honoring these companies as public health contributors." "While Legacy is easily able to write a stinging letter demanding that magazines cease their advertising of Camel No. 9, it does not appear to be so willing to risk its financial benefits by threatening or ending its corporate partnership with the very same magazines." "Interestingly, while Legacy mentions that Vogue and Cosmopolitan are carrying the Camel No. 9 ads, it is careful not to mention the names of the companies that publish these magazines. Apparently, this is one benefit of a corporate partnership with Legacy: protection from public criticism." While the rest of the tobacco control movement was working in the mid-2000s, and for decades before that - to reduce or eliminate cigarette advertising in magazines - the American Legacy Foundation was working on the opposite side of the issue, undermining the work of the rest of the tobacco control community. Sadly, they have never acknowledged this serious error. Today, given what Conde Nast is now doing, Legacy should acknowledge its mistake and issue an apology. Today, I cannot find any evidence that Legacy is criticizing Conde Nast for its actions in helping promote Camel cigarettes to its youth readers. I've seen no evidence that Legacy is remorseful for putting its financial interests ahead of the public's health. But I suppose it's not surprising that Legacy would not criticize Conde Nast. It's difficult to bite the hand that feeds you, and even the one that fed you.